Thanks for joining me on the 2012 MARA-thon! This includes a physical book tour through Colorado, New Mexico, Arizona and California. And it includes a national blog tour. During the entire MARA-thon, please be sure to download your FREE prequel short story, When Whales Watch at http://www.MaraPurl.com/downloads. This is posted from the road during my All-Indie-Bookstore book tour titled MAPPING THE JOURNEY OF YOUR HEART. Revisit the entire tour at any time by visiting http://www.MaraPurl.com/calendar where you’ll see event details, links to the bookstores, and soon, photo archives. Also join me on the ongoing Double Blog Tour , which will be archived at http://marapurl.com/fall-blog-tour-schedule. As of January 1, you’ll be able to find purchase links for all e-readers at http://marapurl.com/books/when-whales-watch. One of California’s most beautiful regions is the Santa Ynez Valley. Famous for its equine community and now also for its wineries, the valley has five towns. One of these is the unlikely village of Solvang which seems to have been air-lifted directly from Denmark and carefully nestled in the winding hills that also has some of the state’s finest scenery. The Book Loft was founded in 1970 and is still run with a deft hand by Kathy Mullins, whose wisdom in locating far from the madding chain stores has served her well. Kathy has cleverly built a following among the locals. How? By continuing the time-honored tradition of “hand-selling” which truly is one of the irreplaceable services an indie bookstore can offer. The staff are savvy about two things: the books they sell, and the customers who come in on a regular basis. What they do is match these two far more effectively than any Amazon algorithm ever can. Kathy also wisely created a Reader’s Advantage program where customers earn $10 back for every $100 spent. Solvang is also a major tourist destination, and to attract this other group of customers, Kathy added a Hans Christian Anderson Book Museum to her second floor. Filled with memorabilia and a short walking-tour through Danish history, her quaint second story also serves as an area for authors to share stories while they sign books. My signing at the Book Loft was a two-author event, co-created with my friend and colleague Sandy Nathan. This was our second joint venture, a total delight because when Sandy and I get together the conversation just seems to take off. We have a lot of overlap in our beliefs and subject matter. We both think a lot about the heart, and this was the topic of our last joint signing. We also think about how to balance things like technology and holistic living, family and career, intuition and intellect. Sandy is a woman of both head and heart. A true brainiac, she grew up in the competitive culture of the early Silicon Valley, earned a master’s degrees in economics and counseling and was a student in the doctoral program at Stanford’s Graduate School of Business. At various times in her career, she’s been an economist, negotiation coach, and businesswoman. Meanwhile, she was also developing her spiritual side with a practice of meditation. All this rich experience now combines and flows into writing her extraordinary novels, which are part mystery, part romance, and part spiritual exploration, defying categorization and thrilling her followers. To her events, she brings both preparation and spontaneity, and as our interests and idea overlap and we share stories with our readers, the room itself begins to vibrate. Sandy and her husband are also devoted equestrians and live on a beautiful horse ranch in the Santa Ynez Valley. I can’t thank them enough for their professional and personal hospitality. Be sure to explore Sandy’s website and sample her wonderful books. 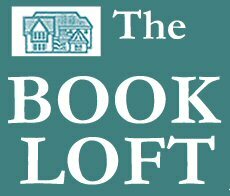 If you’re in the Solvang area, The Book Loft has a few signed copies of my new novel Where the Heart Lives. Or you can order your hardcover or e-book at your favorite on-line bookseller. And don’t forget that my gift to you is the FREE short story prequel, When Whales Watch. The special page where you can find links to all e-book readers, or a PDF download if you don’t have an e-reader is http://www.MaraPurl.com/downloads. Join me in Milford-Haven and discover where your heart lives.